A good book launch has the feel of a party. The writer is strung out and excited. The publishing team can bask in the admiration of the guests. There’ll be speeches – best kept short. Friends meet up with friends – there’ll always be someone you know – someone to go out for a meal with afterwards. It’s a couple of hours of sweet celebration. The book has taken years to write. The author wants something to mark the occasion. A couple of drinks won’t do. Sleeping with the advance copies under your pillow won’t do. There may be grief and elation. Goodbye dear friends to the characters, hello world of readers. The editor has stayed up late working into the night more than once, to iron out untidy characters, stray plot lines, typos, continuity hitches and gaffs. The publisher has risked her reputation; every book is a test of her or his judgement. For every ‘yes’ to a new title, the publisher has said no to many others. Afterwards, it’s over to the readers to read it, to fall in love with or loathe the characters as if they’re real persons not just marks on the page; tussle with meaning and metaphor; to borrow, lend, buy, swap, book-club and reading-group it. Readers give the book its life. Hopscotch Sydney launch April 8. Posted in The Writerly Reader blog and tagged Hopscotch. Bookmark the permalink. Nicely said, Jane. 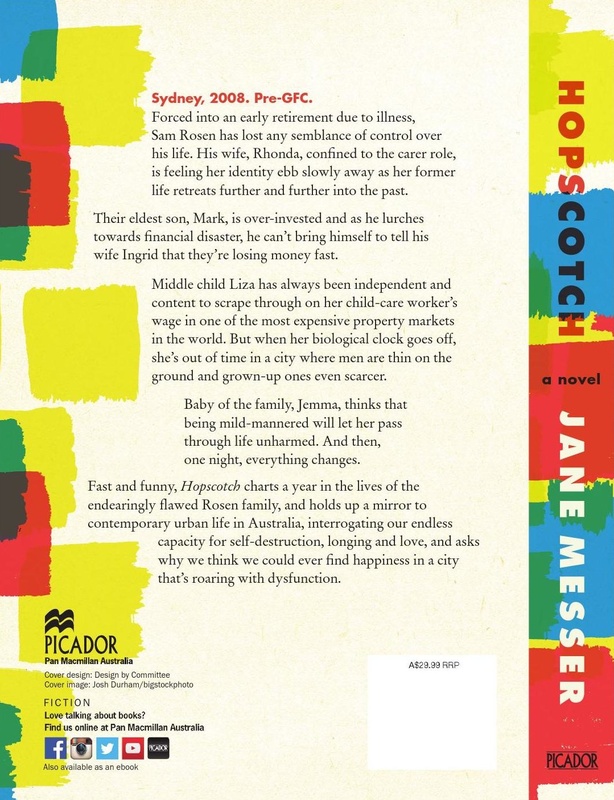 I, for one, am really looking forward to purchasing and reading Hopscotch and will do my very best to spread the word through Brisbane! Some great pictures of the launch at my FB page. Quite a party!